One of the first foundation formulas that I fell in love with – and used slavishly for years – was a stick, and I swear I went through hundreds of them. As liquid foundation improved with the addition of serums and the like and then cushions arrived, I somehow forgot about my old favourite… until now. 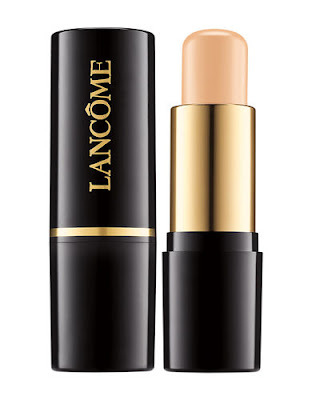 I am officially obsessed with the new Lancôme Teint Idole Ultra Stick, and since having one to play with, have barely worn anything else. The versatility of a stick is one of its major pluses, and the portability when it comes to travel and touch ups on the go is equally as awesome. I have been using Teint Idole Ultra Stick for just a light slick of coverage on the cheeks over the weekend, as a full coverage at night, and it’s travelled to Australia with me where it more than performed in temperatures that were a heck of a lot warmer than over here. It really is a little miracle. In terms of specifics, the Teint Idole Ultra Stick boasts a 24-hour wear, and the highly pigmented formula provides high coverage in a super-gliding, weightless texture for a natural matte finish. Oil-free, it can be used as a foundation, for touch-ups, as a spot concealer, and even to contour., which having only one shade in my kit I haven’t been able to try as yet – but want to! Its ultra-lightweight powder-crème texture blends smoothly for a traceless, second-skin result, and porous polymers absorb excess oils without leaving a chalky, unflatteringly too matte finish - if you know what I mean. Plus, with ambora extract, it helps to reduce the appearance of redness. It is transfer-resistant and smudge-resistant, and also suitable for all skin types, even sensitive. Amazing. In New Zealand it’s only available in eight shades thus far, but they are quite universal in spectrum and think they will cover a lot of complexions depending on how thick you like your coverage. Lancôme Teint Idole Ultra Stick is available right now in store, RRP $70.00. What are you waiting for?